Cloudify is a Cloud Application Orchestrator. It automates any process you need to perform with regard to your applications over any cloud. We use InfluxDB as the default metric storage engine in our product. What did Gigaspaces find compelling about InfluxDB? They needed a dedicated metrics DB that could be easily integrated into their product that allowed the storing and retrieving of metrics easily. Another factor that influenced their decision was the high amount of development activity around InfluxDB compared to other time series databases. 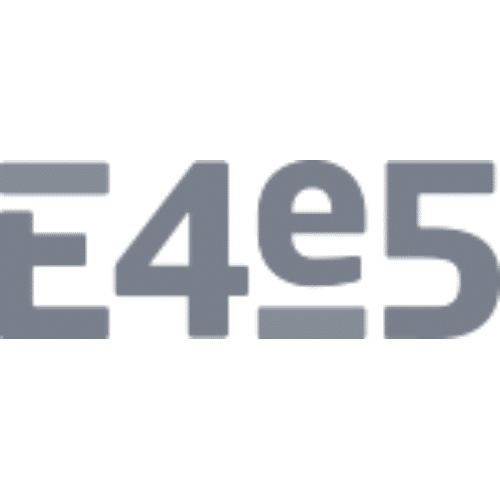 E4e5 is an IT consulting company working on projects in the online ads and real-time bidding marketplaces space. They use InfluxDB to store all their system, performance and business metrics. Based on the metrics they gather, InfluxDB allows them to perform analytics and fast predictions. What did they find compelling about InfluxDB? Spreedly is a service that minimizes the complexity, cost, and risk of PCI compliance and payment integrations. It does so by providing a universal credit card vault and integrations into hundreds of gateways and third party payment processors. They use InfluxDB to track service usage and provide customers with views into their account billing and quota levels. What did they find compelling about InfluxDB? Continuous queries allow them to store metrics in a single, high-level, series, but still gain the efficiency of querying against more granular series. It’s the best of both worlds!